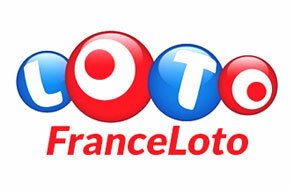 Lottosend allows you to take part in various lottery drawings wishing from all over the world. A convenient system allows you to quickly and reliably purchase a lottery ticket and take part in any major draw. Purchase of tickets is carried out by agents who make it exclusively at official points of sale to the name of the user who made the order. After purchasing the ticket by the agent, in order to prove the purchase, the customer is sent an electronic, scanned version. The winnings are transferred to the account of the client, who can withdraw money in any way that is most convenient for him. After careful selection, a company was chosen whose representatives were not afraid to get in touch, explained the principle of work and provided convincing evidence on Skype of buying real tickets. Lottosend is a successfully developing lottery service, which for 4 years now offers access to the most famous international online lotteries. 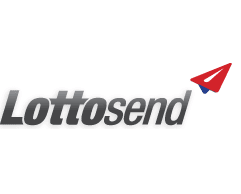 The company Lottosend works exclusively on the messenger service model. What is a messenger - service? It all starts with the fact that you choose your favorite numbers and fill out the ticket on the Lottosend website. The regional representative receives an application for the purchase of your ticket in the country of the lottery. Within 24 hours, the courier purchases tickets from an authorized representative and uploads scanned copies to the site. You just have to wait for the draw and make sure that your ticket won. The winnings will be credited to your account within 24 hours after the draw. Random choice: randomly generated fields, increase the chances of a unique record and win higher prizes. Systematic: The most likely set of numbers, from which all possible combinations are systematically compiled, with which the required number of tickets is filled. Syndicate: For each share, all variations of the sequentially matched numbers in each line will be covered. Guaranteed winnings: Pre-purchased tickets with combinations, one of which guarantees a win in every draw, every time. Some lottery providers try to hide negative feedback from people in order to protect their reputation and attract new potential "victims". The company Lottosend, on the contrary, seeks to conduct an open policy, and you can see for yourself on this. On the site Lottosend you can find reviews of real users from the site of an independent project TrustPilot, which is the most famous online "Book of feedback and suggestions." Here you can not only read, but also leave your comment or share experiences with novice players. Surely many people are interested in the question "how to play the lottery correctly?" Everything is extremely simple, you just need to choose the lottery you like and decide on the type of the game, all the rest will be done by the company representatives and you will just have to wait for the draw and see the results on the results page. Today, Lottosend provides its new customers with a 100% bonus on the first purchase of lottery tickets on the site. More detailed information about the share and discounts you can find on the company's website. The main thing in this business is to choose the reliable lottery service, which will act primarily in your interests and you will not lose out by choosing Lottosend services.